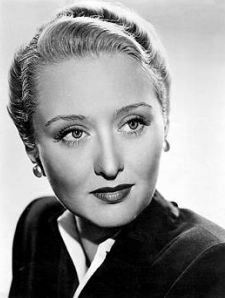 Oscar-winning actress Celeste Holm passed away this morning at the age of ninety-five. Though she only starred in just over two dozen movies throughout the course of her career, the beautiful and talented Holm had a long life in Hollywood, as those films spanned the course of eight decades. Holm spent her early years on the stage, attracting attention for several roles on Broadway before really gaining notice for her performance in the first run (1943) of Rodgers and Hammerstein’s Oklahoma!, for which she originated the role of Ado Annie Carnes. This eventually led to a contract with 20th Century Fox, and Holm made her film debut in 1946’s Three Little Girls in Blue. A year later, in just her third film role, Holm cemented her place in movie history when she starred opposite Gregory Peck in Elia Kazan’s Oscar-winning drama Gentleman’s Agreement. Her performance as fashion editor Anne Dettrey won her the Academy Award for Best Supporting Actress, a prize for which she would be nominated twice more–in 1949 for her role as a French nun in Come to the Stable, and again in 1950 for what is perhaps her best-known role, as Bette Davis’ best friend Karen in All About Eve (a nomination she shared with co-star Thelma Ritter). 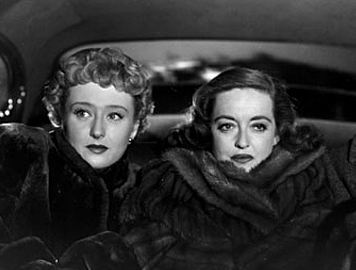 In between those nominated performances, Holm also memorably appeared in The Snake Pit with Olivia de Havilland and the noir Road House (both 1948), and she played the uncredited (and unseen) role of the narrator, Addie, in the 1949 melodrama A Letter to Three Wives. After starring in Eve, Holm returned to the stage. In 1951, she replaced ailing star Gertrude Lawrence in the role of Anna in Rodgers and Hammerstein’s The King and I (Lawrence passed away three weeks later). Holm appeared oppposite Yul Brynner as the King (a role he would reprise in the 1956 film version). She returned to Hollywood a few years later, starring in The Tender Trap (1955) with Frank Sinatra and Debbie Reynolds and with Sinatra, Grace Kelly, and Bing Crosby in High Society (1956), a musical remake of 1940’s The Philadelphia Story in which Holm takes over for Ruth Hussey as photographer Liz Imbrie. In subsequent years, Holm split her time between the stage and screen, appearing in a couple of films every decade and starring in the occasional play or musical–most notably when she took over for Angela Lansbury in the title role of Mame in 1967. She also appeared on many television shows, including her own 1954 series Honestly, Celeste! in which she played a reporter. However, the show was canceled after just eight episodes due to poor ratings (fun fact: one of the writers for the show was a young Norman Lear). In 1996, she appeared on the popular television series Touched by an Angel; her character, Hattie, and her family were spun off into their own show, Promised Land, which ran for three seasons. As recently as last year, Holm was making appearances in front of the camera. Even well into her nineties, the actress never lost her obvious love of performing and entertaining her many fans. And it’s that pure love, dedication, and talent that we remember today. ← A newbie goes singin’ in the rain. Sad news. 😦 She was terrific in all her roles – my fave was in “All About Eve”. In fact, since it’s a rainy afternoon, I might just put that on right now. I would have loved to see her play Ado Annie! She was wonderful as Ms. Imbrie and I loved her as Hattie, but I think I will always remember her best for telling Lesley Ann Warren that impossible things were happening everyday long before Whitney knew what fiddle-dee-dee was.